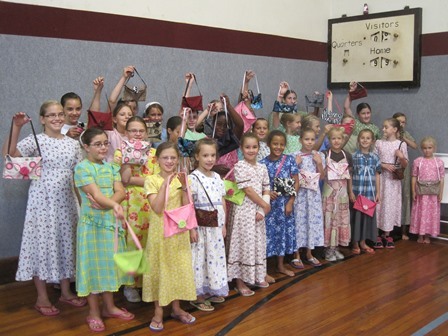 One of the joys of attending Family Week at SMBI was agreeing to organize a craft class for all the children ages 6-12. Ryan and I spent considerable time planning and preparing, then he took charge of the boys (18 of them) and I of the girls (28!). 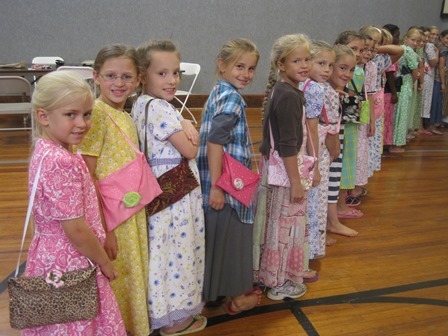 For one hour each day, four different days, we coached them through the steps of the craft we’d chosen—checkerboards for the guys, purses for the girls. The children were delightful to work with, and thrilled with how their crafts turned out. We couldn’t have done it without significant help from a few parent volunteers–Sincerest thanks! 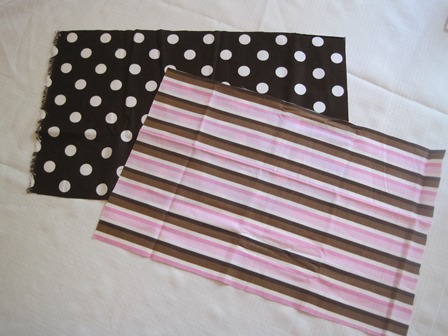 Special thanks also to NiyahBubbly, whose YouTube tips were most helpful. If all DIY videos were as hysterically darling as yours, I would watch them all. 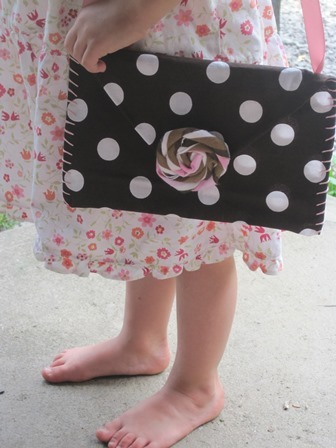 Today I’m going to show you how to make a purse out of fabric, complete with a matching coin purse and flower pin. 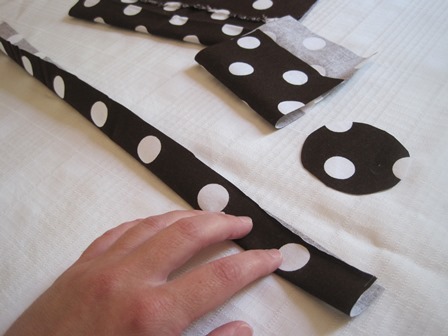 This project does not require a sewing machine, only hot glue and a minimal amount of hand-stitching. 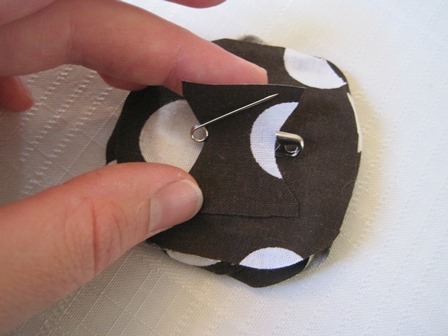 The lovely thing about the craft is that it takes very little fabric, and could be made from scraps you have on hand. 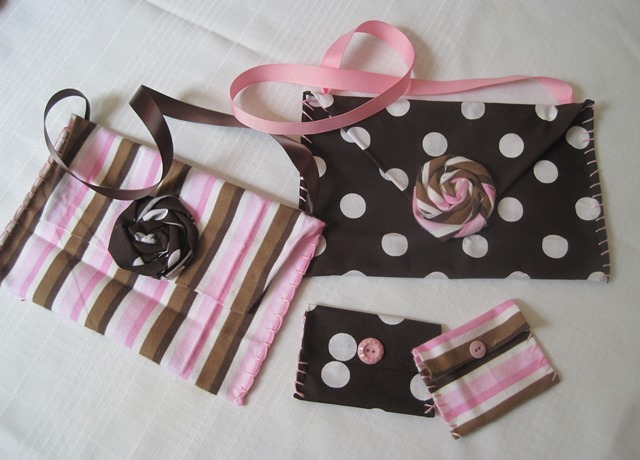 It’s more beautiful when you interchange two coordinating fabrics, so make two if you like, or find a crafting partner to work with you–then exchange coin purses and flowers for a mix-and-match look. 1. 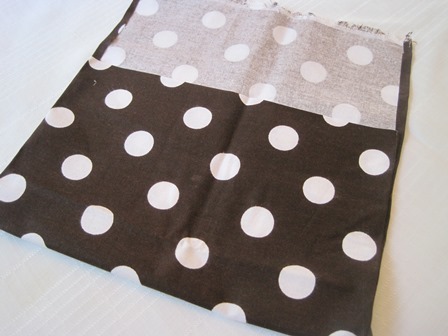 Start with a rectangle of fabric, 12″ x 30″ or so. 2. 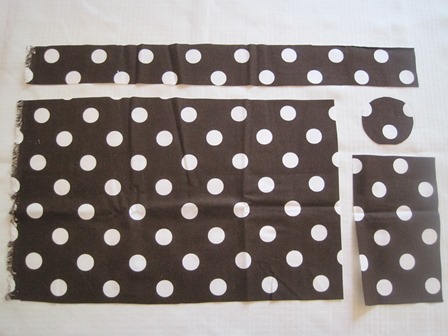 Cut as shown. 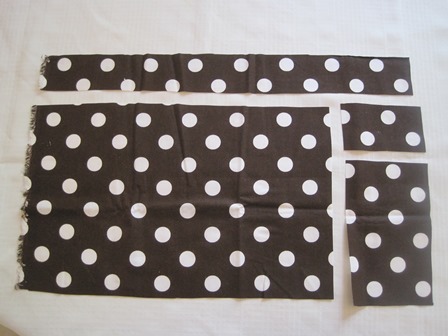 Specific measurements are not important; straight lines are. 3. 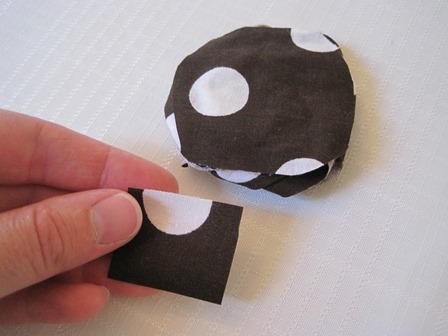 Cut the smallest rectangle into a rough circle. 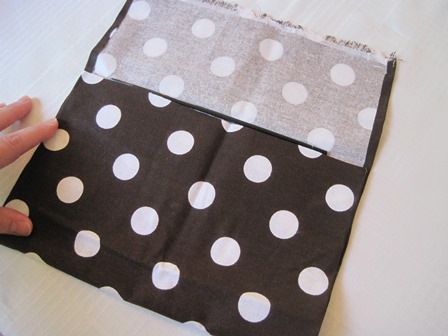 From your scraps, save a small additional piece (not shown), about 1 x 1-1/2 inches. 4. 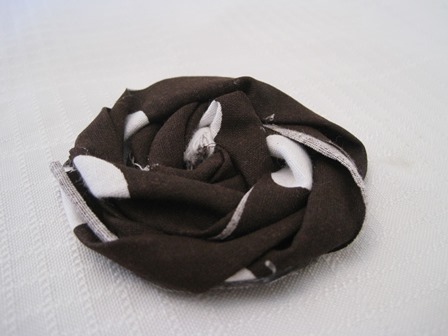 First, let’s make the flower pin. 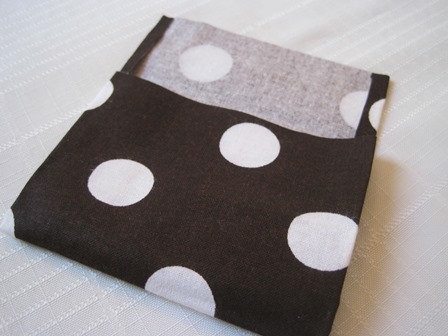 Take your long strip of fabric and fold it in half lengthwise. 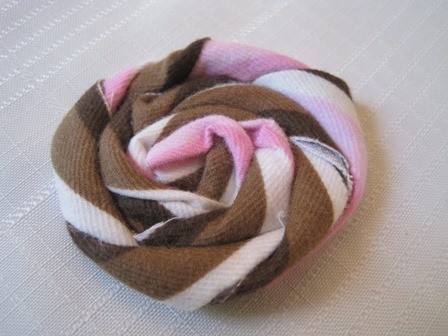 …until you have formed a rosette. 6. 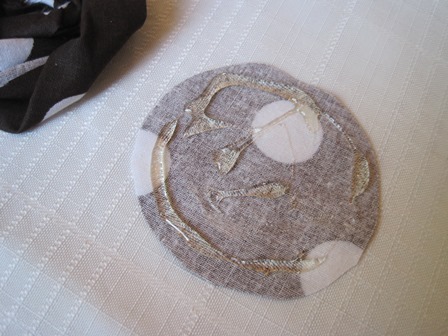 Apply fabric glue or hot glue to your fabric circle. 7. 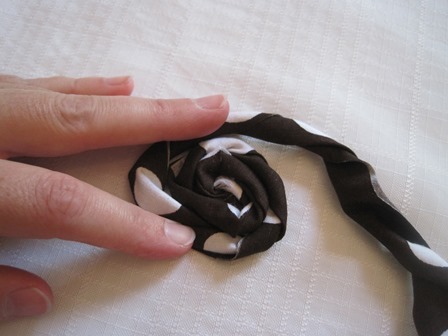 Gently pick up your rosette and set it atop the glue, pressing firmly to adhere. 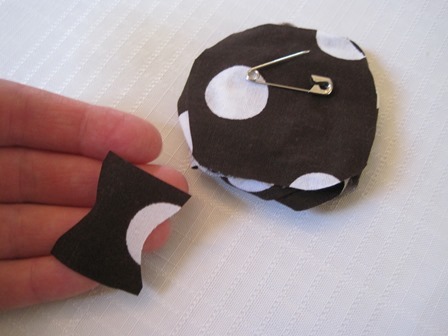 Use additional glue to attach any loose places. 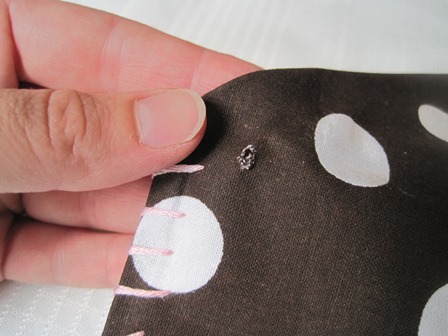 Trim off any part of the circle backing that is exposed. … into an hourglass shape. 11. 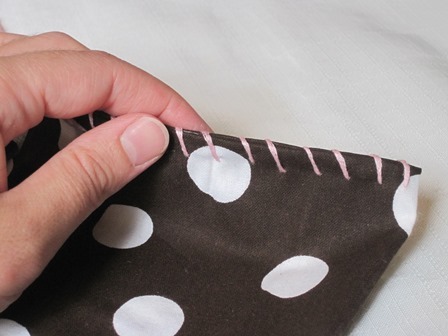 Your purse will be formed by tri-folding the fabric like this. 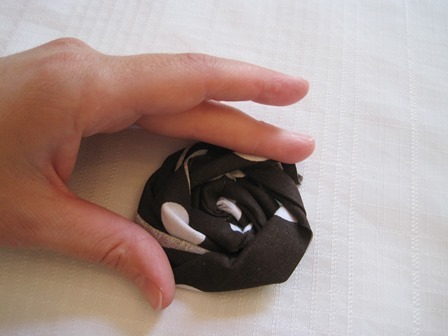 Position your folds so they look good, with a longer or shorter flap as desired. 12. 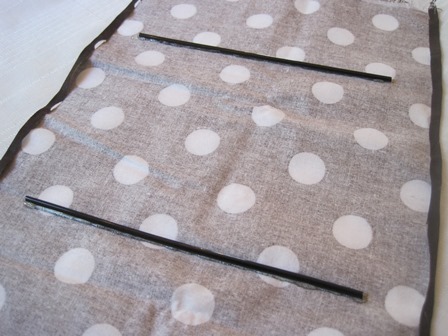 On the large purse, glue a coffee stir stick to the inside of each fold. 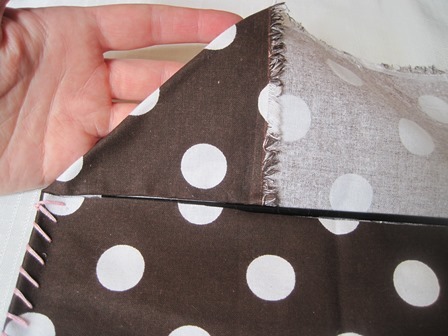 This gives extra stability to the purse’s shape, and prevents sagging between the handles. 14. 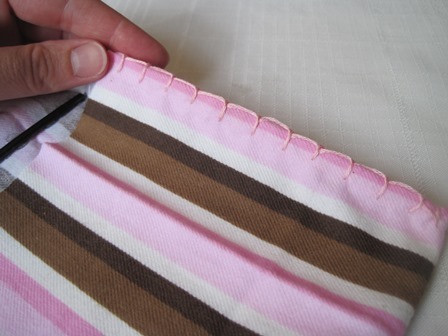 Fold in both sides of the top flap if desired, to expose more of the hand-stitching. 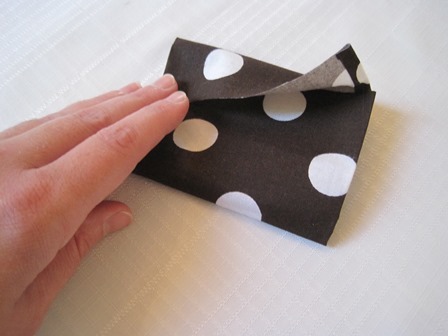 Secure folds with glue. 15. 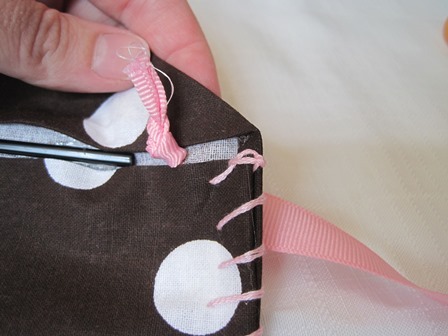 Using a sharp scissors or fabric punch, pierce a tiny hole through the flap, just off the end of the stir stick, where you want your handle to attach. 16. Force one end of a yard of ribbon through the hole. (A sharp scissors will do the trick.) 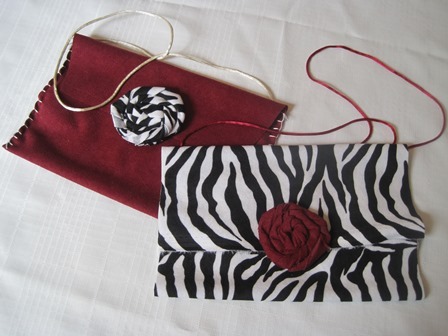 Tie a large knot in the fabric end, inside the purse. 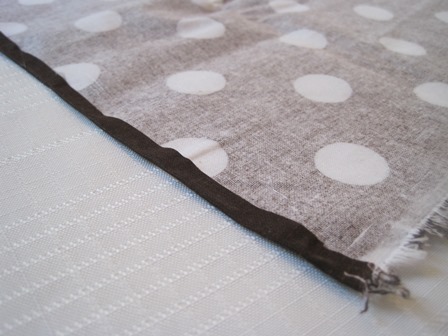 Secure to the fabric with glue if desired. 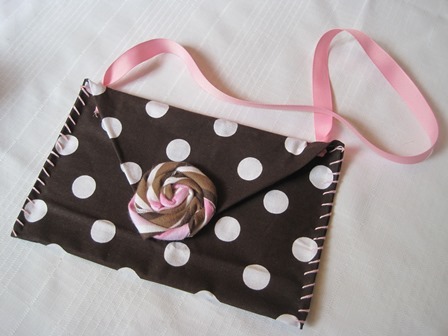 Repeat with the other end of the ribbon, at the other end of the purse. Any questions? Feel free to ask! I think these would make lovely gifts–but perhaps the gift of time (spent in crafting alongside your niece or granddaughter) would be the best gift of all. 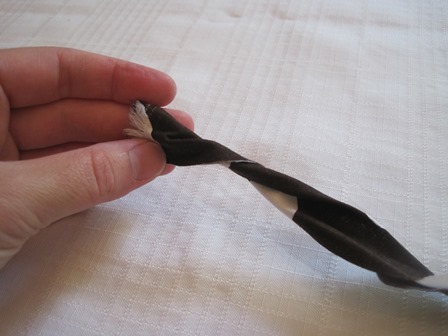 PS–I am unspeakably thankful not all my blog posts are this long. My daughter is sitting here looking at this with me and saying “Could my age girl make that?” I think we’ll be sifting through our scraps soon! And I don’t mind long posts when they are worthwhile! Is a tutorial on the checkerboards forthcoming? I don’t think I’ll be showing this to my girls …at least not til a “rainy” day 🙂 Very cute!! How sweet!! The girls look so delighted! 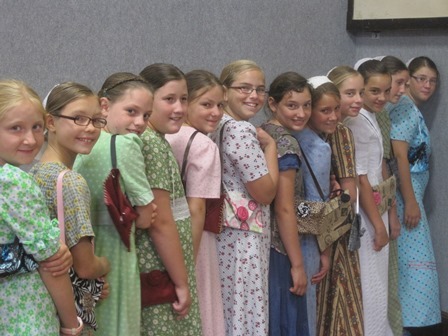 That is a BIG group of girls! You went to a lot of work to pull these crafts off! They are beautiful!